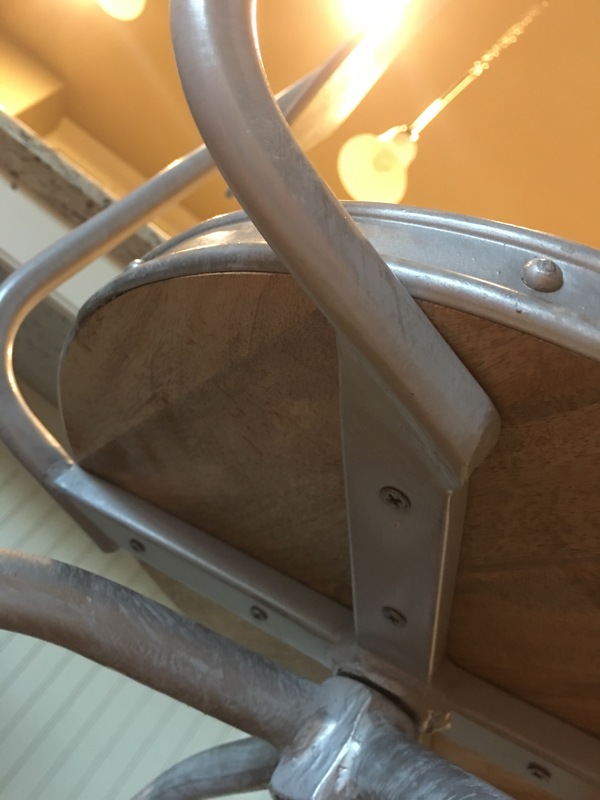 I’m thrifty when it comes to furniture, you all should know that by now… I have such a hard time paying full price for something that I know could be found at a flea market, yard-sale or the buy/sale feeds. 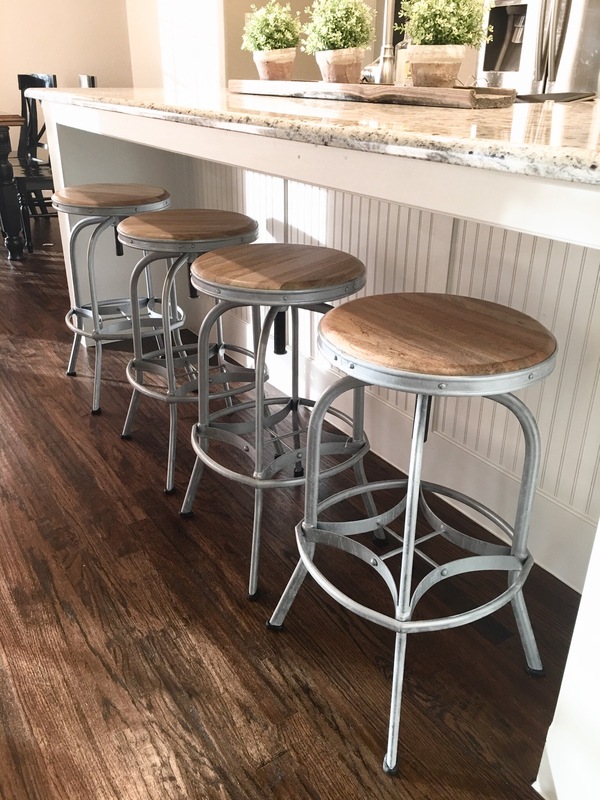 So when we moved into this house and decided we needed barstools I began hunting for the perfect stool! I wanted quality and style and something that would last our family a long time. 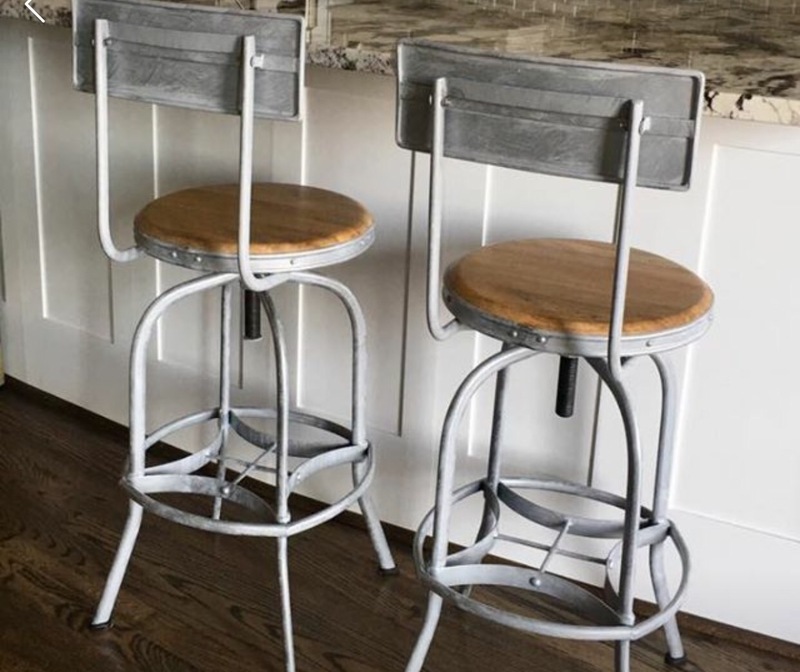 And I fell in love with the unique nickel finish on these stools from Ballard Designs that a gal was selling on FB. I searched for different styles, but kept coming back to these. So I decided to get the two from her and purchase two more directly from Ballard, that way I’d still be saving a little money. 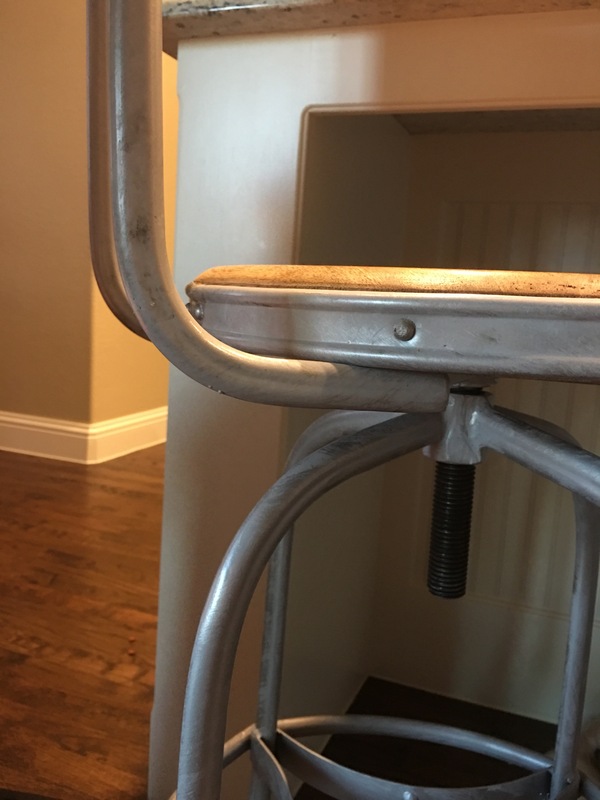 But after buying them I realized they had backs that were not removable and Ballard no longer sold them in this finish with backs! I even called and asked where I could get more with backs. 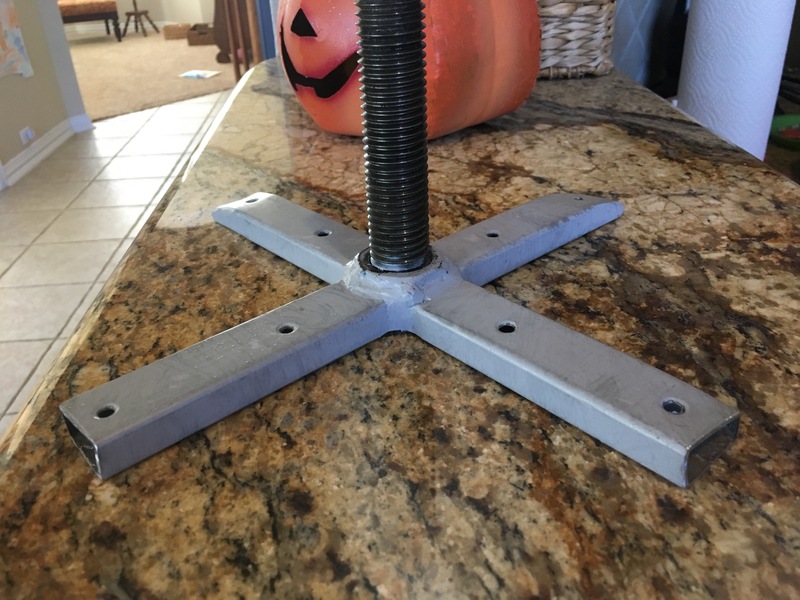 They sell them with the backs in different colors just not the nickel finish! I begged them to backorder, start selling them again, or somehow point me in a direction where I could get them. They were quite rude about it actually… “google it” were her exact words… I will definitely think twice before ordering from them again. Still, I purchased the two stools without backs and thought we could get away with mismatched stools. Unfortunately, the mixed stools drove me crazy. Furthermore, the kids would spin and the backs would bang against the counter. I hated that. So I decided the backs had to go! My bestie’s hubby was a total saint and cut the backs of the two old stools off for me. The parts that needed cutting. I made him some cookies in exchange, which was totally not enough. My boys screwed the wooden seats back on and loved using the power screwdriver. 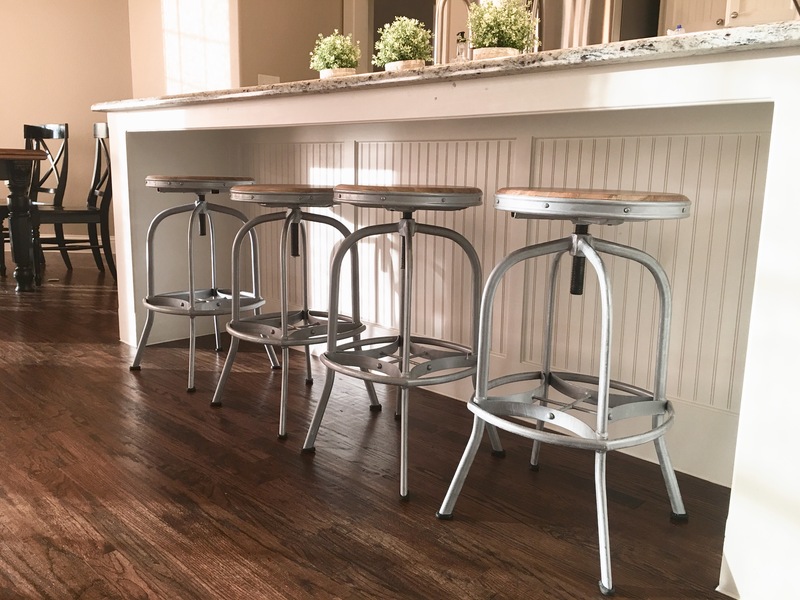 I am so happy with 4 matching stools! I saved about $400 by thrifting the two stools, and am so grateful for good friends with saws! !